Novo Cinemas to Showcase the First BTS Feature Film for Four Days Only! 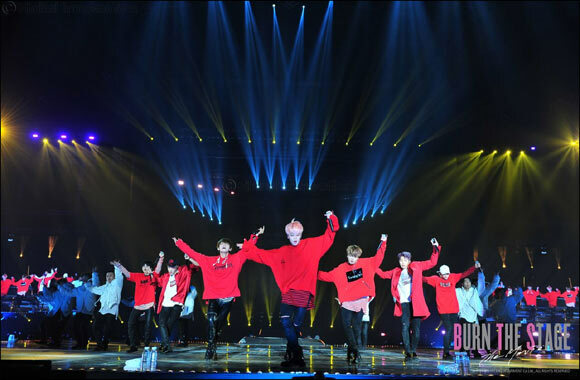 Dubai, UAE, November 05, 2018: Novo Cinemas, the region’s most innovative cinema chain, is set to welcome a hoard of screaming fans as they showcase famed band BTS’ first ever film; Burn the Stage: the Movie. The movie takes fans behind the scenes of what it’s like to be part of the world’s biggest band and follows on from their massively successful YouTube series of the same name. Available at Novo cinemas throughout the UAE from 15th – 18th November only, the full movie features moments from the band’s Wings tour last year, which drew more than 550,000 fans across 40 concerts spanning 19 cities, and offers an intimate look at members RM, V, Jimin, Jin, Jungkook, Suga and J-Hope in their most candid moments. Having become a global phenomenon since they debuted in June 2013, BTS have topped music charts, sold out worldwide tours and are one of the most recognised and successful boybands in to date. Screenings, from AED 63, will be held at cinemas in Dubai, Abu Dhabi, Ras Al Khaimah and Sharjah including the 7 Star options and Korean 2D for the four-day extravaganza.